For many nineteenth century women, marrying one Duke would be a sign of the ultimate success, but for Louise Cavendish, marrying one Duke was only half the story! For when Louise Montagu married Spencer Cavendish, 8th Duke of Devonshire on 16 August 1892 she was marrying her second Duke and so earned herself the nickname of ‘the Double Duchess’. In 1852 Louise married her first husband William Montagu, Viscount Mandeville (later 7th Duke of Manchester). 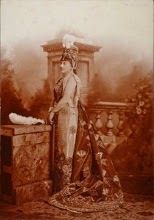 It was whilst married to the Duke of Manchester that she met, and began a liaison with, Spencer Cavendish, the future 8th Duke of Devonshire, that lasted throughout her marriage to the Duke of Manchester and resulted in her marriage to him, 2 years after her first husband’s death in 1890. Here in the archive I have been cataloguing the papers of Louise, Duchess of Devonshire and surprisingly the majority of the correspondence that we hold originates from her first time as a Duchess. It also includes some correspondence of her first husband and three of their children. One aspect of the letters I was intrigued by were the Duchess’s letters from the royal family. One of the letters I have catalogued was actually sent to the Duchess by Queen Victoria (see letter above), appointing the Duchess to the position of Mistress of the Robes. 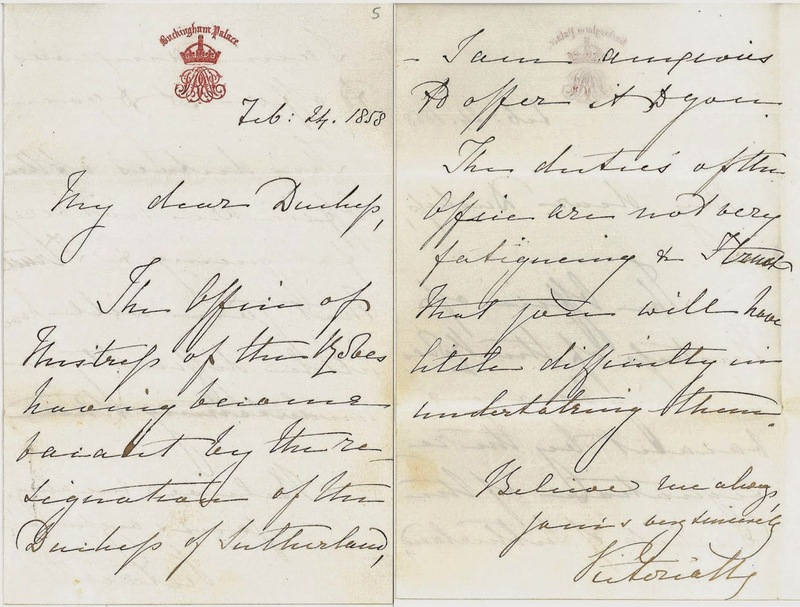 Although later it was thought Queen Victoria began to disapprove of the Duchess, other members of the Royal family did not share this disapproval and letters within the archive show friendships with Edward, Prince of Wales and Alexandra, Princess of Wales. Later, as Duchess of Devonshire, Louise was still very much in favour with the Prince of Wales and was a member of the fast and vibrant Marlborough House Set. The Duchess was famous for hosting the Devonshire House Ball in 1897, a costume ball thrown to celebrate Queen Victoria’s diamond jubilee, and a letter from Francis Knollys, Private Secretary to the Prince of Wales, shows that the Prince himself thought the party a success! (Incidentally, the Prince dressed as the Grand Master of the Knights Hospitallers of Malta.) 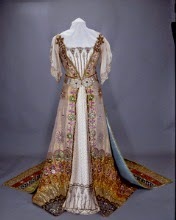 The images above show the Duchess dressed as Zenobia, Queen of Palmyra and the gown she wore. 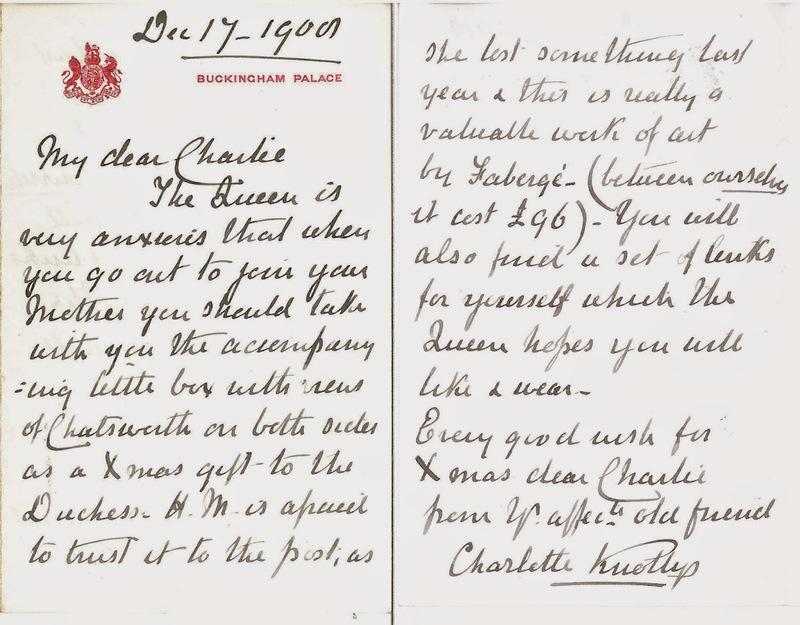 The above letter addressed to the Duchess’s son Charles Montagu from Queen Alexandra’s private secretary, Charlotte Knollys, also shows a good relationship with the royals. 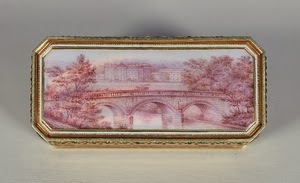 The letter concerns Her Majesty’s reluctance to send a gift (a Faberge snuff box decorated with views of Chatsworth – see the image below) through the post as having lost something the previous year, Her Majesty didn’t trust the mail service with the item. Charlotte Knollys goes on to tell Charles that the item was worth £96 (that’s over £5000 in today’s money). Charles was thus entrusted with delivering the item to his mother. The correspondence does not just include letters with the royal family, there are also family letters including letters from the Duke of Devonshire to the Duchess’s children and letters full of society gossip from the Duchess’s acquaintances such as W E Forster. As part of my project I have only come across a handful of letters sent to Louise, Duchess of Devonshire, but through these letters I have been able to take a brief glance into her life and learn more about the fascinating life of a double Duchess. If you have been intrigued by the life of the Double Duchess and what can be discovered in archives, why not explore the Devonshire Collection Archive and archives in your local area? Visit www.exploreyourarchive.org to find out more or follow the stories on twitter #explorearchives.